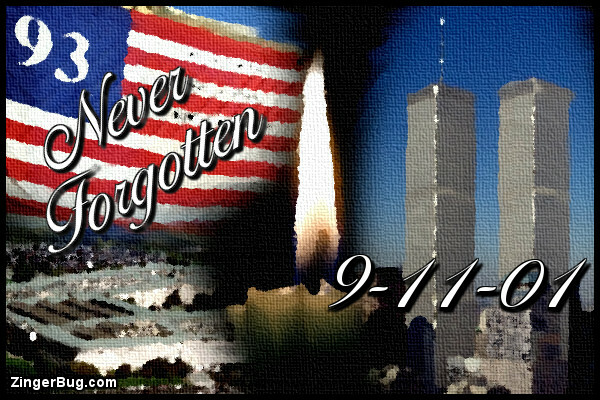 Patriot Day commemorates the attacks on the World Trade Center and Pentagon on September 11, 2001. The holiday was created by a joint resolution of the US House on October 25, 2001 and signed into law by President George W. Bush on December 18, 2001. 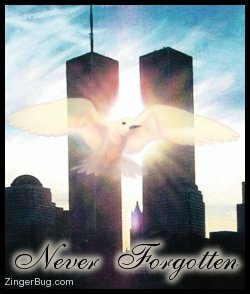 These Patriot Day Comments and Glitter Graphics are free for your personal use. Perfect for posting on Blogger, Facebook, Fubar, Pinterest, or any other social media site or blog.